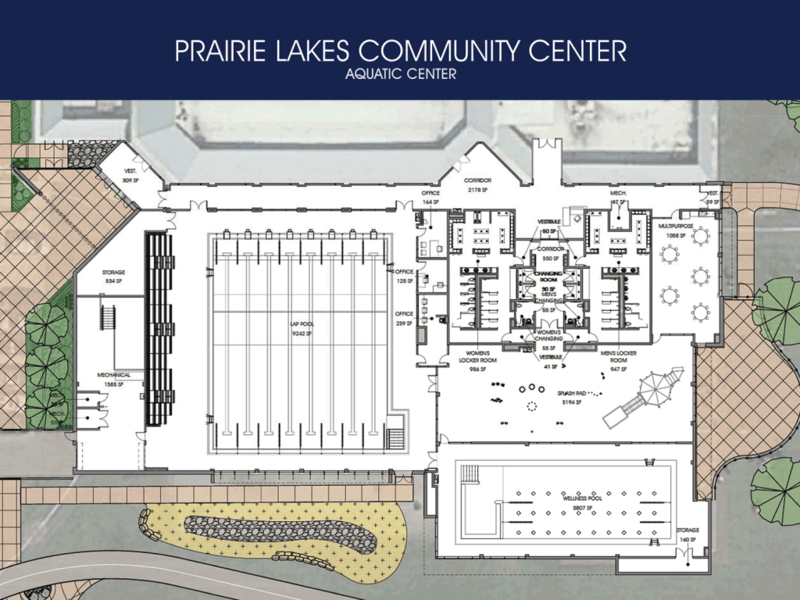 The Des Plaines Park District Board of Commissioners approved the final design and budget for an indoor pool facility at Prairie Lakes, 515 E. Thacker Street in Des Plaines, at the December 18, 2018 Park Board meeting. Construction is scheduled to begin in spring 2019, with completion planned for spring 2020. The approved design is for a 27,185 sq. ft. aquatic facility to include an 8-lane, 25-yard pool for lap swimming, swim lessons, open swim, aqua fitness classes, and competitions. “Our competitive swim program, for all youth through high school age, will be an important part of our Be Active campaign,” said Don Miletic, Executive Director, “which helps keep kids and adults healthy year-round.” The district will offer use of the aquatic facility as an addition to summer pool passes and Prairie Lakes Fitness Center memberships. There will be aquatics-only memberships and daily fee options as well. Additional facility features include a wellness pool and a splash pad area; a multi-purpose room for parties, meetings, and park district programming, with an adjacent outdoor patio; men’s and women’s locker rooms; six family-friendly changing rooms; and offices for lifeguards and pool staff. The 8-lane pool section has bleachers that will accommodate up to 148 people for watching competitions. Architectural renderings of exterior views and diagrams of the interior features are on view at Prairie Lakes. They are also on the park district website: DPParks.org. 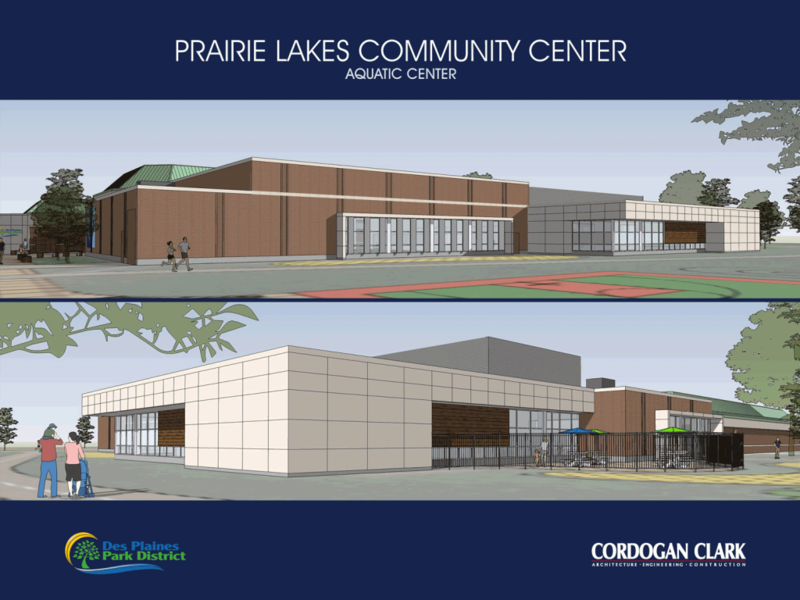 Site selection was based on responses to two Community Needs Assessment Surveys, commissioned by the park district in 2006 and 2012, which indicated a desire for an indoor pool at Prairie Lakes Community Center. Research for the project began in 2014, conducted by the district’s Aquatics Task Force. Designs for the new facility based on their recommendations were reviewed by park district administrative and recreation staff, the Task Force, and the Park Board. Community input was gathered via public meetings. Construction bids were solicited in fall of 2018; the preliminary design and materials were revised by the district over the next few months, which reduced costs by $1,200,000 from the original bids, leading to final approval by the Park Board in December. The total project cost of $12,807,746.60 includes $4,812,746.60 from park district reserves, and $7,995,000 which will come from the issuance of bonds with a nine-year payoff. Hard costs for the project are 10,491,546.60 which include “brick & mortar,” equipment, labor, upgrading the fire alarm system throughout the community center, a required fire loop for water circulation, a new road connecting Prairie Lakes with Mountain View Adventure Center to the south, redesign of the walking/jogging paths, rain gardens on the south and east sides of the new building, and relocating the existing outdoor basketball court and sand volleyball courts. Additional soft costs, planned at $550,000, include the purchase and installation of the splash pad equipment by park district staff, an audio system, a Daktronics Timing System for the competition pool, specialized equipment for swim lessons, aqua fitness, lifeguard rescue and training, site furnishings for the party room and staff offices, and some landscaping. Cordogan Clark & Associates are the architects, and Corporate Construction is the construction manager. Architect fees for the project total $676,200, construction management fees total $690,000, and the project has a contingency budget of $400,000. According to the park district, the new facility will be paid for within its current debt structure and there will be no need for a tax referendum to pay for the project. 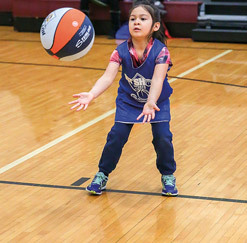 The district plans to pay for annual operating costs from usage fees, memberships, and rentals.